Everyone likes to feel safe and secure in their own homes, not to mention in the homes of family and friends, but for disabled people this security can be elusive. Particularly high risk areas in any home can be stairs from which someone might slip or fall, bathrooms in which water presents a hazard, and kitchens in which heat and sharp utensils can be dangerous. Combating these threats, and making sure that homes are also accessible for the disabled, will help any family overcome safety issues in their home, regardless of the ability levels of their members. Safety proofing danger spots in the home and making sure that your home is accessible to everyone are important parts of creating a safe haven for people of all ability levels. 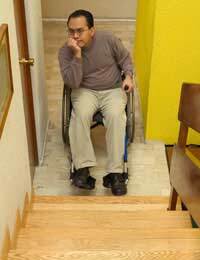 Safety issues in the homes of the disabled may be present, but they are certainly not insurmountable nor should they be considered as such.